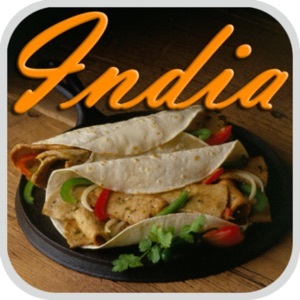 Love Indian Food? Make your own versions of take-out favorites, with these 4000+ recipes. 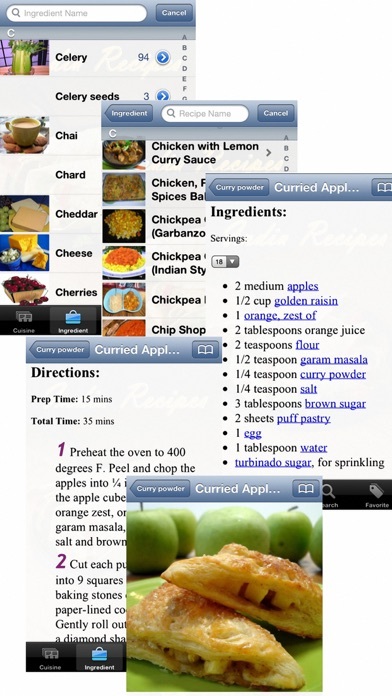 Indian Recipes. This book includes over 4000+ home-style traditional Indian dishes, with over 1000 colored pictures. Preparation methods are explained step-by-step with the help of sketches which make learning a snap! 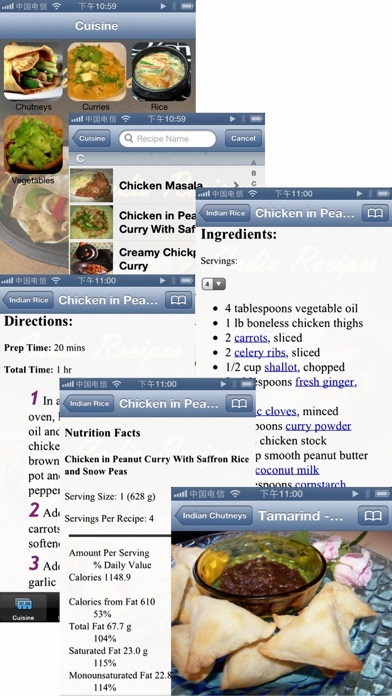 Recipes are presented in beautiful photos with text in English. 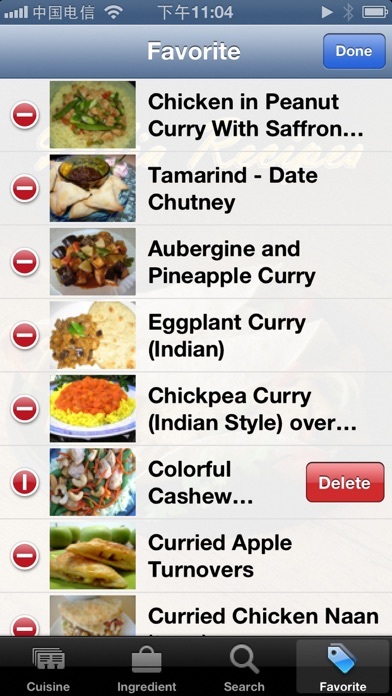 You can browse the recipes by cuisine, ingredients in your fridge or search recipe name. Indian food is highly appreciated by connoisseurs all across the globe, with the primary reason being the spiciness present in Indian recipes. Indian Recipes have evolved over a period of time into a wide variety of food preparations ranging from two-minute snacks to elaborate and complex recipes. Because of the extreme variation in geographic and climatic conditions, there is almost as much of variety in the ingredients used in making Indian recipes as well as the cooking methods used to prepare them. The evolution of Indian food has been traced back to almost 3000 years in history. Indian recipes require generous usage of spices like turmeric, red chili, black cardamom, cumin and herbs like basil, mint and curry leaves, which can be used separately or together. There is a vast variety of food preparations that can broadly be classified into four sub-cuisines on the basis of geographical location: The North Indian cuisine, which is native to the lands of Jammu and Kashmir, Rajasthan, Punjab and Uttar Pradesh. This type of food is characterized by the heavy use of spices and ghee in the preparation. East Indian food, which are highly appreciated for its sweet preparations. 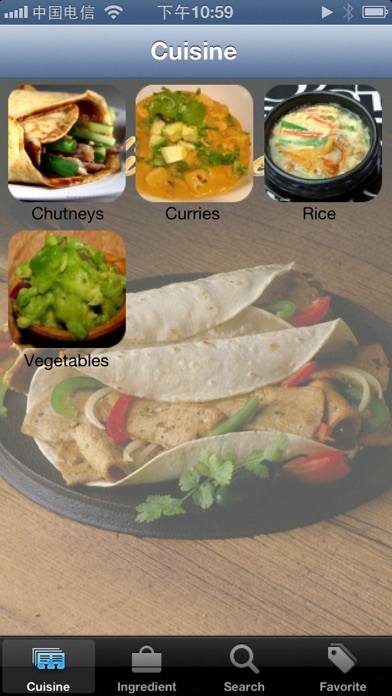 This sub -cuisine represents food from West Bengal, Orissa and Assam. This cuisine widely uses poppy seeds and rice in preparing the recipes. 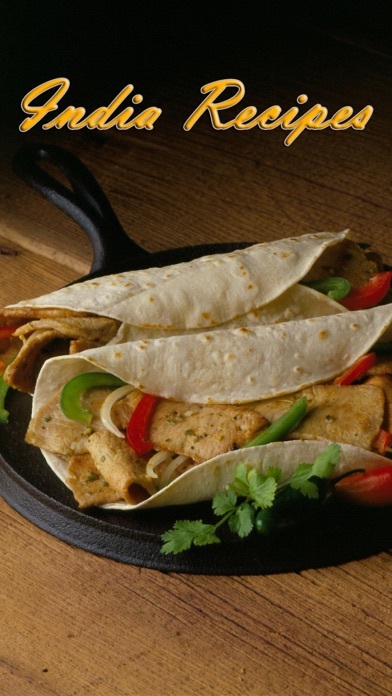 Western Indian cuisine which represent the cuisines of Maharashtra, Gujarat and surrounding areas. Food classified as Western Indian can vary a lot as this sub-cuisine covers a vast area which ranges from hilly areas to coastal areas. Western Indian cuisine uses ingredients ranging from jowar, bajra and rice to bananas, potatoes and even fish, seafood and poultry. South Indian food represents the culinary styles emerging from states like Andhra Pradesh, Karnataka, Chennai and Kerala. Usage of rice, coconut and fish as staples is observed all across the South Indian cuisine. Although the ingredients used are almost the same for South Indian recipes, the method of preparation widely varies even between the states. The Hyderabadi Biryani, a meat and rice preparation, is a South Indian recipe which is a popular gourmet preparation which is highly demanded throughout the world. There is an endless variety of Indian recipes, ranging from starters like samosas to main course items like chicken or mutton curry, served along with boiled rice or rotis and dessert preparation such as jalebis or rosogollas. Indian food has found a respectable place for itself in the hearts of many a connoisseurs, specifically the ones who love a little extra spiciness in their food.